Former UFC light heavyweight title challenger Anthony Johnson has been accused of victimizing women by an alleged stalker. Now “Rumble” has come forward with a statement. Taking picture's of my ride,emailing me, and leaving a note on the car doesn't do anything. Step your game up and come and get me! 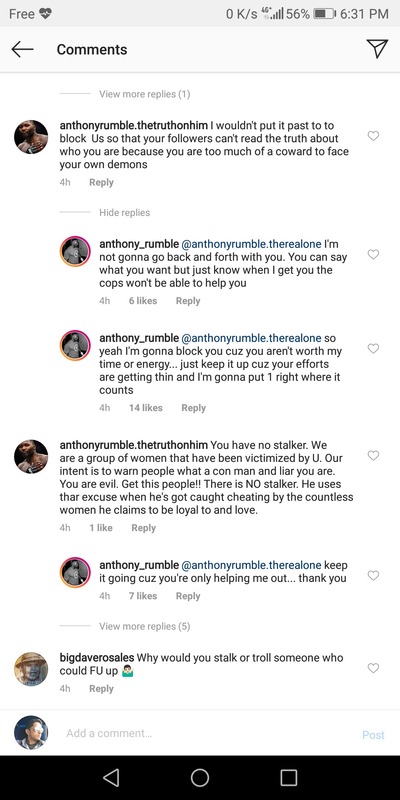 From there, an Instagram user under the name “anthonyrumble.thetruthonhim” has since come forward to claim that Anthony Johnson does not have a stalker. Rather, that “Rumble” is being messaged by a “group of women that have been victimized” by the former title challenger.